I’ve got a gorgeous free wedding printable for you today! 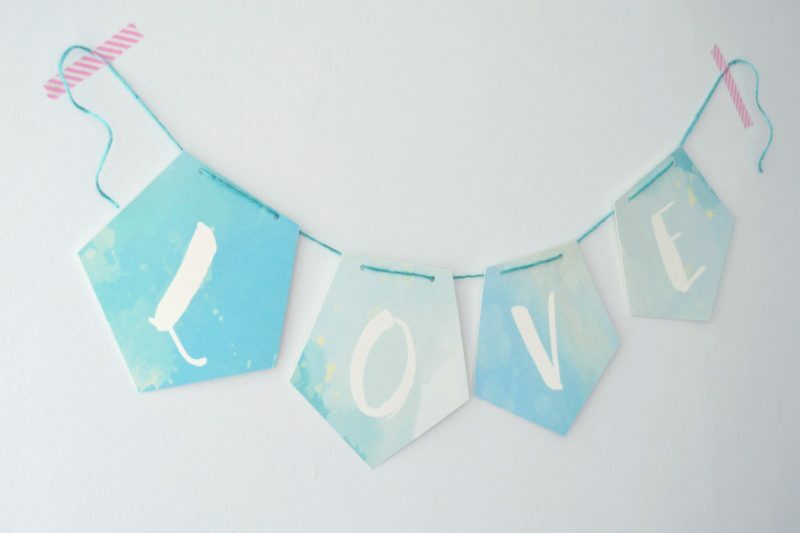 How do you fancy a pretty watercolor ‘love’ banner for your wedding decor? It combines a few of the hottest recent wedding decor trends… geometric shape? Check. Watercolour? Check. Calligraphy font? Check. Print it out – I used A4 watercolor paper which has a nice thickness and fits through the printer easily. Each letter uses one A4 sheet. 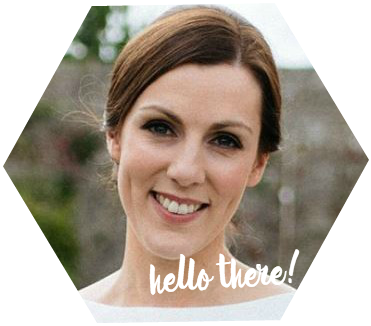 Cut it out – the easiest way to cut out each shape is to use a paper trimmer (I use this one), but some careful use of your scissors will work too! Add some holes – I used a hole punch (I use this one!) to add two holes to the top of each letter. Thread through some pretty twine. 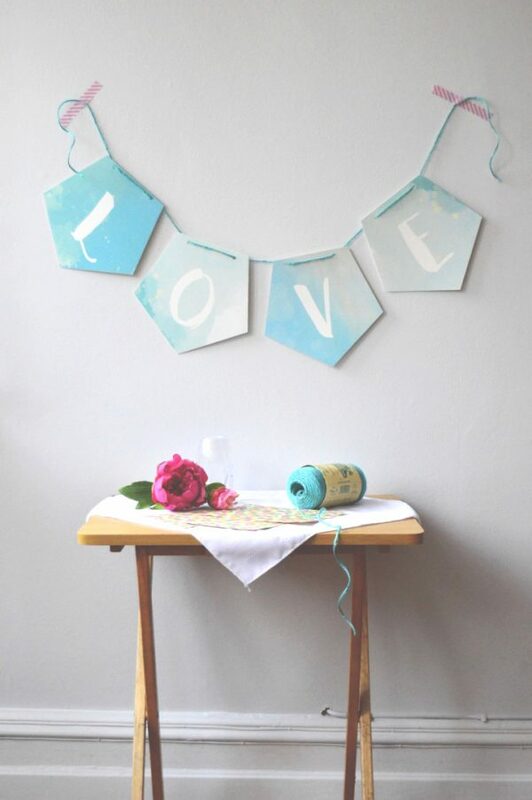 Hang it up – washi tape is perfect for this (and doesn’t mark your walls!). 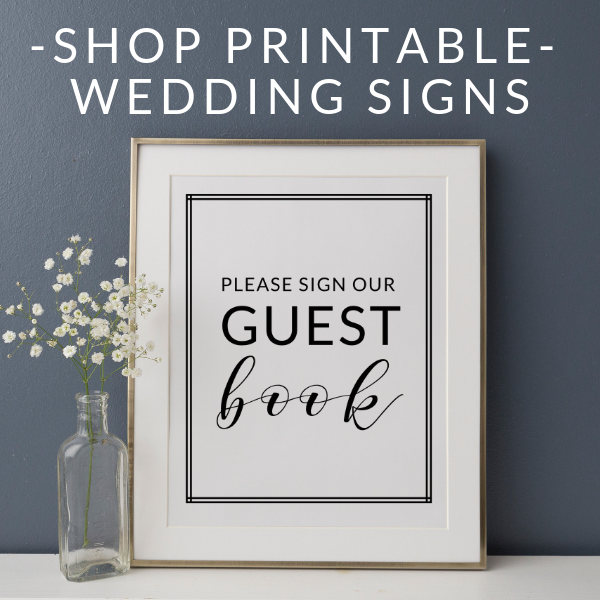 How can I download the free wedding printable banner? Simply click on the link above and the file will automatically download to your computer. It downloads as a zipped file – double click on the zipped folder to open it up and access the files. There are 4 separate files for each of the letters – L, O, V and E.